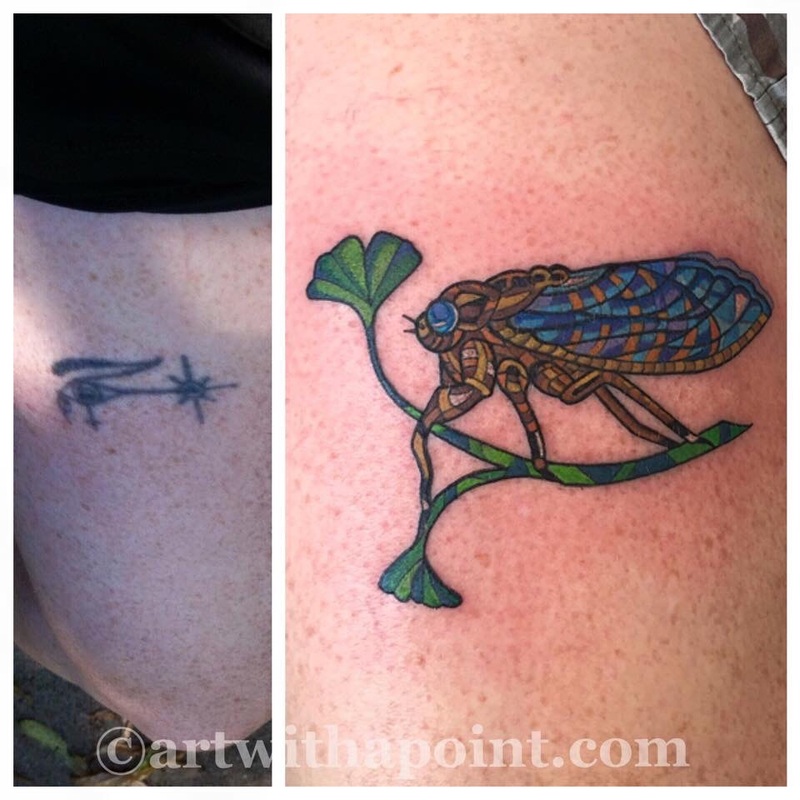 I love a good coverup – and what makes a for solid coverup is a client knows what they want their new tattoo to be, and who’s open to the creative process and flexible in how we get there. a stained glass inspired Cicada – and then flexibility in size, detail, color, texture and flow to let the new tattoo take on a life of its own. LOVE this piece!